Bidspirit auction | KIRCHNER, PAUL CHRISTIAN. Engraved folding plates of Jewish ceremonies and customs. Title in red and black, additional allegorical frontispiece. Browned, light wear. Contemporary vellum-backed patterned boards, rubbed. 4to. Nürnberg: Peter Conrad Monath, 1730. 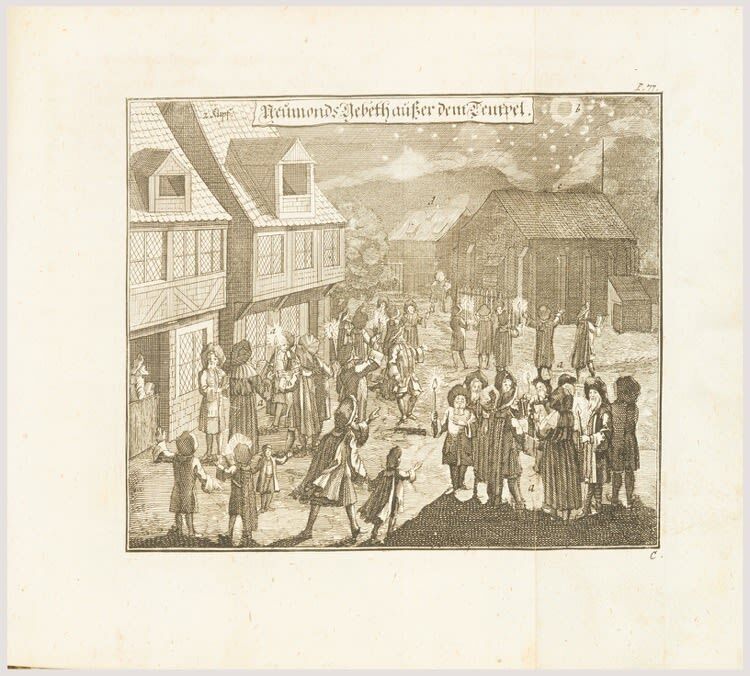 Attractive volume with enchanting engraved plates detailing religious and cultural life of 18th-century German-Jewish society.